Sell worldwide and withdraw your funds in Uruguay. Now when you receive funds from your international sales, you can make a withdrawal quickly and easily—from your PayPal account to your Prex account or to any account, of any bank in Uruguay. Payments from all over the world in an instant. Expanding your business internationally and withdrawing your funds locally has never been so easy. 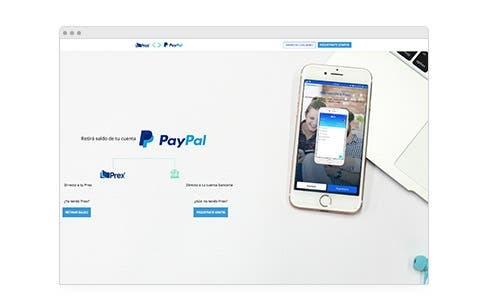 Help your business grow with the Prex & PayPal partnership. Create a Prex account, link your PayPal account and register your bank account. Request the amount of funds you would like to transfer to your Prex account or your bank account. Funds will be available in your bank account the same day. We created a Seller Protection program to help guard you from losing money to claims and chargebacks. The withdrawal cost is USD $8 + VAT with a minimum withdrawal of USD $20. Your funds available in one click.